The data was added on ,	14 August 2017 read 373 times. 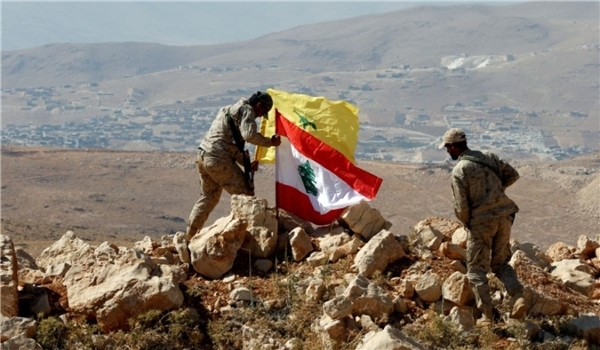 The mountainous region at Lebanon’s border with Syria has almost been cleaned up of terrorists after Saraya Ahle Shame retreated from three main regions in Eastern Arsal following an evacuation deal with Hezbollah Resistance Movement, field sources reported Monday. The sources confirmed that the Lebanon-Syria border heights have been partially emptied of terrorists after 395 militants of Saraya Ahle Sham along with their family members left positions in the regions of al-Malahi, Wadi Hamid and Wadi al-Ajram East of Arsal. The sources also said that almost 1,000 gunmen, who refused to leave Arsal region for Syria, handed over their arms and equipment and returned the town of Arsal to the Lebanese army monitoring. The Lebanese army is to kick off a large-scale anti-ISIL operation to purge the region of terrorists as soon as evacuation of gunmen and their family members in Arsal is completed. Earlier reports said that Saraya Ahle Sham terrorists restarted retreat from the heights at Lebanon’s border with Syria to Al-Qalamoun region in Damascus province under an evacuation deal with Hezbollah Resistance Movement. A sum of 40 buses evacuated militants of Saraya Ahle Sham and their family members from Eastern Arsal to Eastern Qalamoun. 14 ambulances are accompanying the convoy of vehicles. The gunmen and their family members are to be transferred to Syria’s Fliteh region and later move towards al-Rahibeh in Eastern Qalamoun.